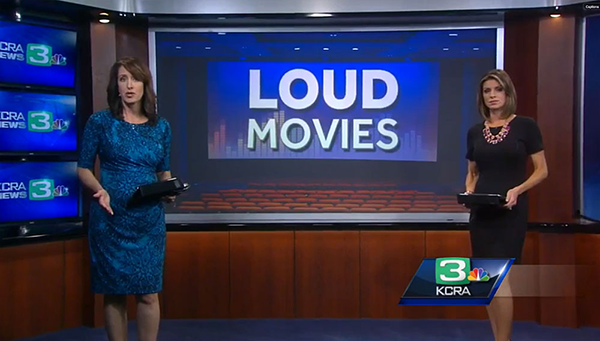 Dr. Julia Ahlquist Tanner & KCRA 3 investigators wanted to find out just how loud movies are in local theaters. They monitored the volume of popular family movies and found that many of the overly loud movies are in fact movies for children. Hearing experts recommend people start wearing ear protection when exposed to 85 decibels or more for prolonged periods. Dr. Julia Ahlquist Tanner, an audiologist, explained to KCRA investigators that any loud noises, even in short bursts, can lead to permanent hearing loss. If not right away, down the road; which is why 13% of children age 6 to 19 now have some sort of documented hearing loss. Dr. Tanner: It doesn’t matter how old you are, if you have some sort of ringing or sound, or a muffling in your ears after you’ve been exposed to noise, after you’ve gone to a concert, after you’ve been to a movie and you go out into the parking lot and your ears feel kind of muffled or everything feels kind of dampened, then you’ve most likely done some damage.